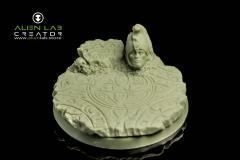 Blister contains 1 resin bases, 50mm round. Models made from high-quality resin. Models supplied unpainted.